President Muhammadu Buhari on Sunday asked Nigerians to re-elect him in 2019, primarily to keep fighting the corruption war his administration started in 2015, Owojela’s Blog learnt. Buhari announced that at least 15 million new jobs would be created in the next phase of his administration if re-elected. The President called on all candidates and political parties to be peaceful. At the event, selected ministers spoke on the “achievements” of the Buhari administration. For instance, the Minster of Power, Works and Housing, Mr Babatunde Fashola (SAN), spoke on road infrastructure, power and housing provisions. Atiku categorises his mission into three: unity, security and prosperity. Under what he tagged, ‘Refining and Petrochemical Infrastructure,’ the former vice- president promised to privatise all the nation’s four refineries if voted into office in February 2019. Atiku noted that the refineries had struggled to produce at 10 per cent of installed capacity. He described Nigeria as the most inefficient member of the Organisation of the Petroleum Exporting Countries in terms of both the percentage of installed refining capacity that worked and the percentage of crude refined. 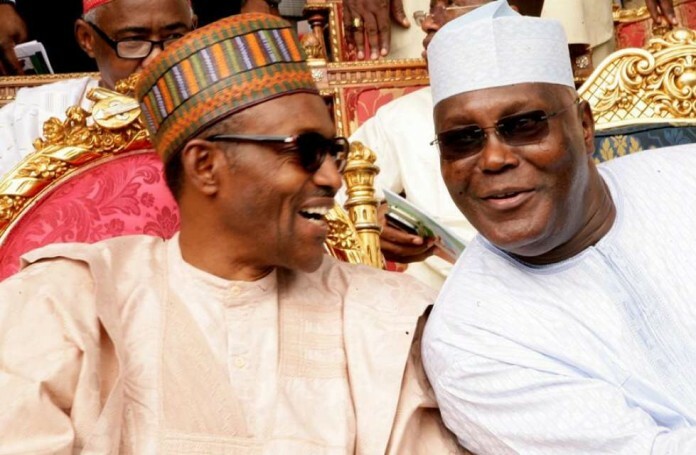 Atiku said the objectives of the policy were, among others, to create one million new jobs within 10 years via petrochemicals and petrochemicals-based activities, as well as to build enabling infrastructure to add value to the economy via the development of petrochemical facilities. “Local governments shall become an independent tier of government, generating units will be supported in economy management. Atiku promised to create a special tribunal for crimes against women. “We shall encourage states and the private sector to incentivise studies for girls in sciences, technology, engineering and mathematics. “We shall provide microfinance and financing schemes specifically targeted at the youth and women. He added, “We shall increase women representation and retention rates in politics and business, through positive action such as quotas for women on political platform and corporate boards. Under his economic development agenda, Atiku said he would ensure a competitive and open economic system; reform public institutions; reduce infrastructure deficit; promote economic diversification; and human capital development. As the campaigns for the 2019 elections commenced on Sunday, the United States, European Union and 23 other western nations have called for transparent campaigns in the run up to the polls.